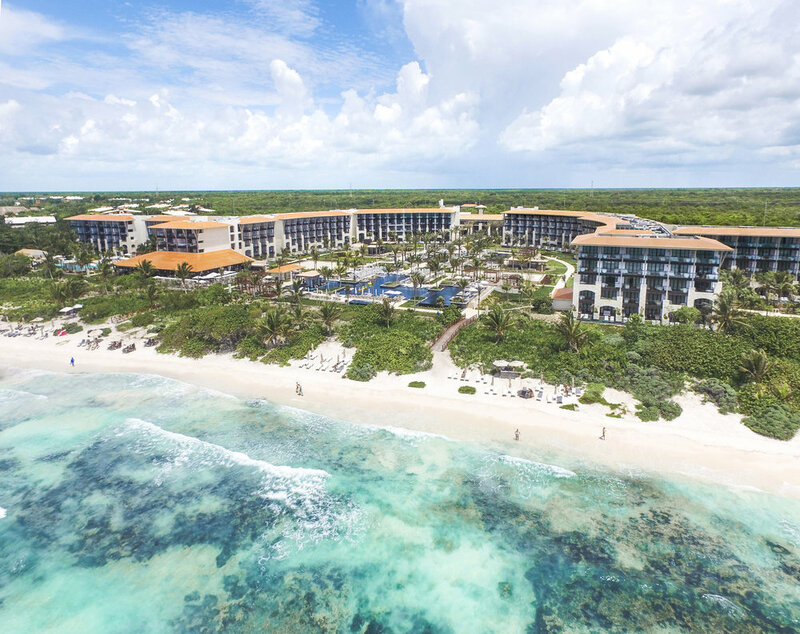 UNICO 20º87º Hotel Riviera Maya is located approximately 1.5 hours away from Cancun International Airport, and just 15-20 minutes from Tulum. The property is set on the beautiful beaches of Riviera Maya, a lovely getaway location. Upon arrival, you are immersed in the region’s culture while enjoying a relaxed luxury atmosphere. UNICO 20°87° is a new category of all-inclusive, adults only hotel that combines modern and traditional Mexico. The entire property is designed around modern luxury and has lots of public places for relaxation. There are total of three large public pools spread around the main courtyard. The entertainment team is constantly trying to come up with new ideas to maximize guests' experience at the property, for example, many large floaties, water sports activities, pop up bars, etc... are provided for guests to relax and to sip on their favorite cocktails. One of my favorite activities is the hat decoration pop up shop, where a local artist is invited to design personalized straw hats for all guests. (You can see my decorated hat in one of the photos.) Besides putting a lot of effort into curating a lovely day itinerary, the entertainment team also does a fantastic job for night time activities. Because this is an adult only property, one of the nights during my stay, they hosted a casino night! It was so much fun as we played with fake UNICO dollar bills, and they had an auction where you can spend those fake bills to redeem actual prizes. UNICO 20º87º Hotel Riviera Maya has created a phone app, where guests can download prior and during their stay to stay updated on all the activities that goes on! There are 8 types of different category room types to choose from, most of which have views either facing the ocean or the well-designed main courtyard. Most rooms have a balcony for an in - out unique experience. All rooms and suites are fairly spacious, since it is a newly opened property in 2017, all the furnishing is clean and comfortable. Room decoration is a mix of modern luxury and rustic inspired from the rich history of this Mexican region. Most of the art and accent pieces are designed by local artists to differentiates UNICO from other luxury hotels. 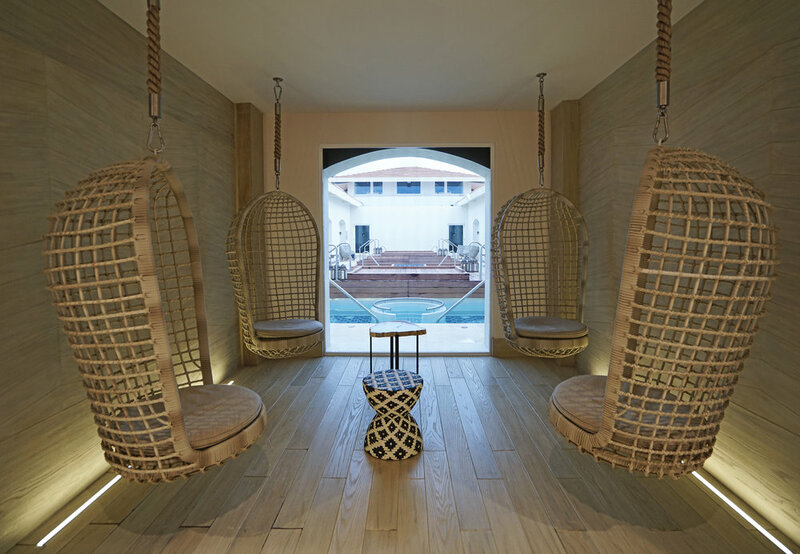 I wanted to highlight the Spa here at UNICO 20º87º Hotel Riviera Maya - the all-inclusive rate that guests pay to stay at this property has already included a selection of spa and beauty salon treatments! The selected treatments are available to all guests for only 20% service fee. You can find the menu here. There are a total of 5 different types of dining selections and room service available. Most of the special dining are only opened for dinner. Occasionally, there are also special theme dinners set up by the main pool area. 20°87°, serves buffet style daily breakfast and dinner, and brunch on Friday and the weekends. Inez cafe, opens daily from 6am to 12am, a lovely coffee shop that allows guests to stop by for a fresh juice, coffee or enjoy a pastry. It is perfect for guests who just wants to grab a quick bite before an excursion or have a snack whenever they want. Mi Carisa, only opens for dinner, focuses on the traditions of coastal Italian cuisine, uses a wood-burning oven to add smoky flavors to the dishes. Cueva Siete, named after the seven orign caves of Mayan mythos, derives its inspiration from the Yucatecan empire. This restaurant serves Mexican dishes by Top Chefs in Mexicos, they have a rotation program where they will invite top chefs from all around Mexico to come for a period of time. This is also a dinner only restaurant. Mura House, draws flavors and techniques from different Asian cultures, but has a stronger concentration on Japanese cuisine. This restaurant not only serves an la carte menu, but also yakitori and traditional teppanyaki. 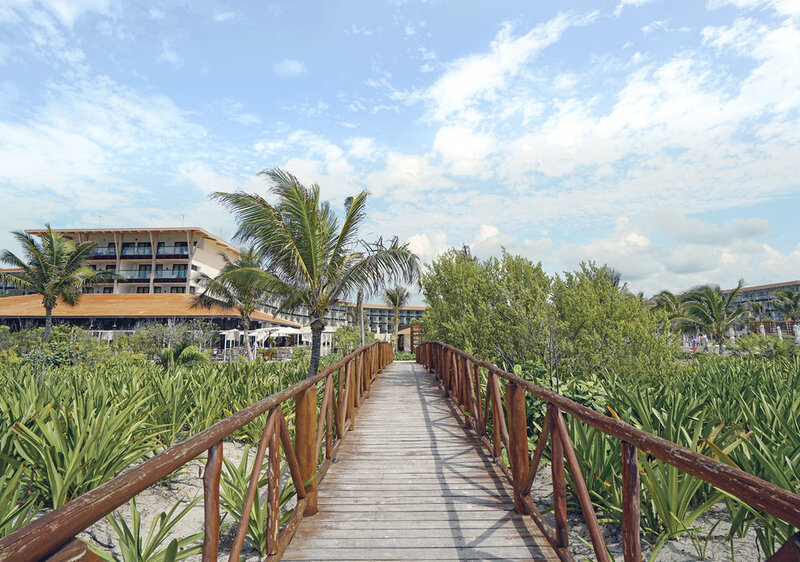 Riviera Maya is your perfect hide way for an unforgettable vacation. Besides kayaking, scuba diving, snorkeling, there are also many great activities and excursions to choose from. As a guest at UNICO, you will get to experience many of the excursions for only 20% service fee. You can view all the different selections here. If you're a nature and adventurous person, there are tours to lush jungles, natural cenotes, and even swim with the Dolphins. For those of you who enjoys learning about local history culture, you can visit one of the Seven Wonders of the World on a trip to Chichen Itza and learn about the Mayan culture and visit archaeological sites in Coba & Tulum.